Are you looking for the best beginner road bikes for the entry-level peeps? Cycling is the most-awesome sport in many countries. Not just you are spotted to pollute the environment by fast cruising the car through the scenic routes but the interest totally dies down. Stroll through the streets of city, visit country side, and the scenic routes all by the road bikes. For the beginners, we come up with the list of best road bikes to fully enjoy the next bike trip. We are not going to get the cheap road bikes for the beginners but some great qualitative options to choose from. And of course for the entry-level road bikes, they should not cost you the arm and a leg to buy one. They have to be reasonable but as said earlier, there should be no compromise on the quality though. Yeah, let’s wait no more. 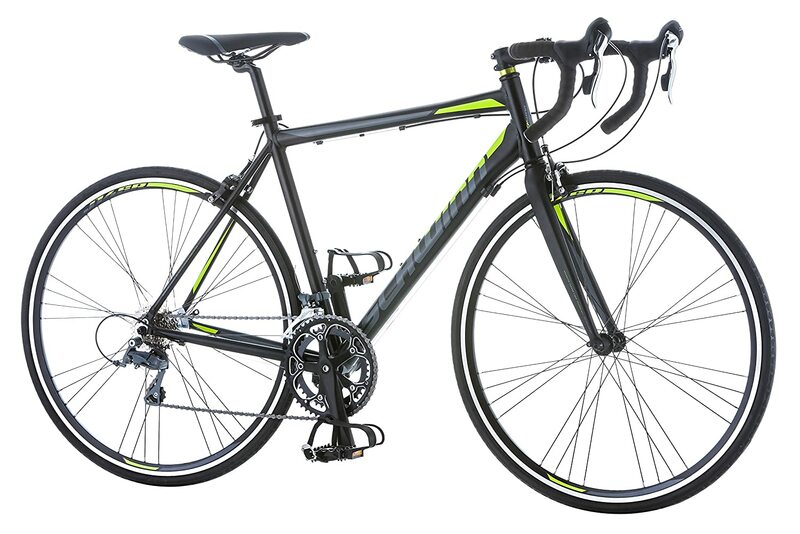 We are going to get you some great and the awesomely best beginner road bikes to get over your next bike journey with the brand-new road bike. 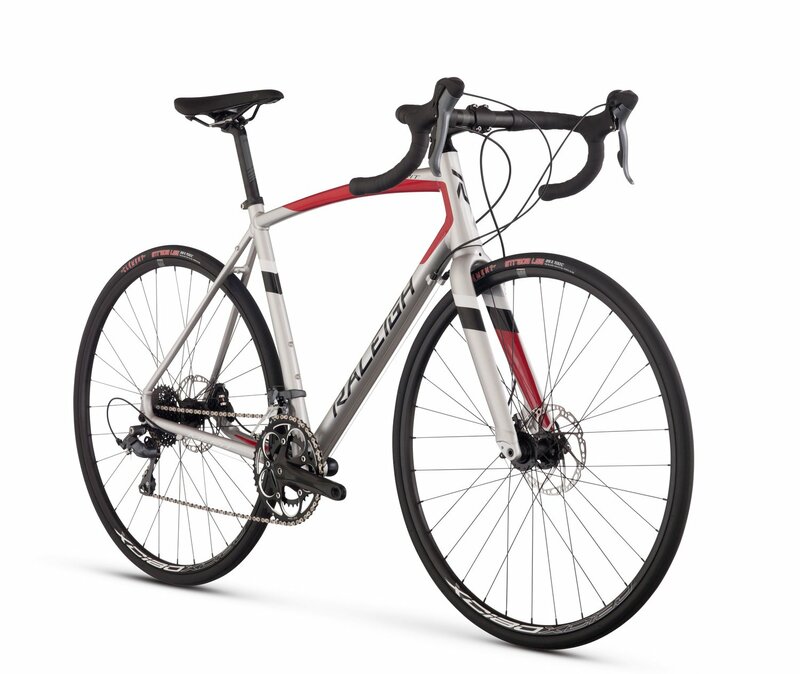 This steel-made road bike from Giordano is the perfect fir you. The Italy-based road bike makers is best known for its greater quality-build bikes to give you the better cycling experience on the road. It comes into different sized make which is small, medium, and large which is classified due to its size to give better comparability to the riders as per their height’s range. So when buying this Giordano Libero Acciao road bike, be very careful of the sizes. 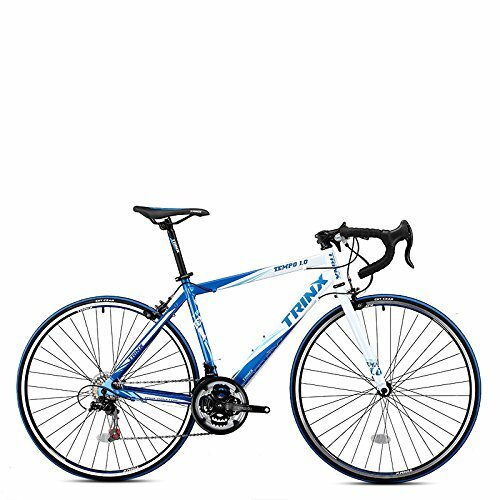 This Trinx made road bike is best designed for the speed racing/fast biking. 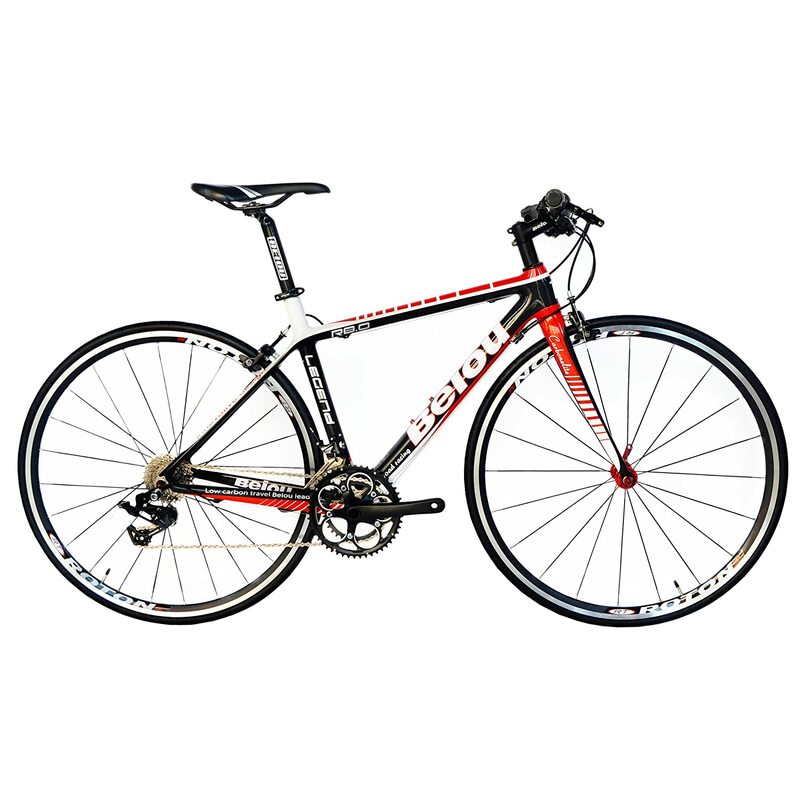 The road bike is built with hydro formed aluminum alloy frame is the top notch. And comes into the two different size; 53 centimeters and 56 centimeters for best used by the medium and big sized folks. This fixed 54 centimeter long road bike owns aluminum fork and frame for making the the one light-weighted bike. The aluminum brake calipers are best at giving the smooth and rattle-fer braking. Fre paddling is the good feature to give relaxation to your legs during the steep declining roads, and in such situations. Break wise, it comes with the disk braking system to not shake you during the braking. Being 49 centimeter high, it is best fit for the medium sized riders touching around the maximum of 6 feet in height. However, the frame is built of steel which is little heavier than the aluminum-built road bikes. That 21 speed shimano drive train is the absolute road bike coming from Vilano, the pioneer in the making of road bikes. Its double butted aluminum frame with fork size being 700c 1 1/8″ thread less is the best combination of giving the smooth road experience to enjoy the long journeys on this amazing road bike. The 21 speed Shimano handle bar shifter is just amazing and easy to shift the gears without any problem, and to retain some fast speed easily. And the wheelbase being double walled 700c CNC to fit the comfortable tire for the smooth ride. This bike is expensive! Very expensive! And that is coming right from Ridley who is the brand that is the maker of expensive, elegant, and the comfortable road bikes. That particular road bike is having the most flexible frame specifically build for all road types to give you what; only the smooth ride. It also has the ability of hidden rack and fender mounts on frame and fork to give the clean and clear look when they are not in use. Its 36 mm clearance from the wheel is suitable for doing many different setups. With the addition of disk brakes to keep the bike in total control during the different road conditions. Frame is built of the Fenix triple butted hydro formed and fork is 24T HM unidirectional carbon from Fenix as well. 60 cm /x-Large for the bigger peeps! 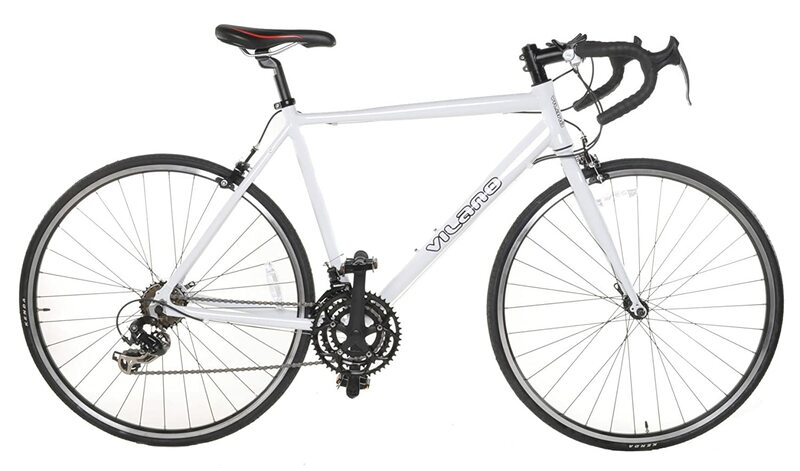 Road bikes from Vilano are dashingly classic. The bike gets the Shimano STI integrated brake lever and the shifters for the comfortable and easy control. Its 6061 double butted aero frame built by aluminum with the integrated headset. Thread less fork size of 1/18 inches to handle to fit the tires and to not put the pressure during the jumps o n the front side. With the wheel set to fit 700c wheel which is the optimum size in road bikes. 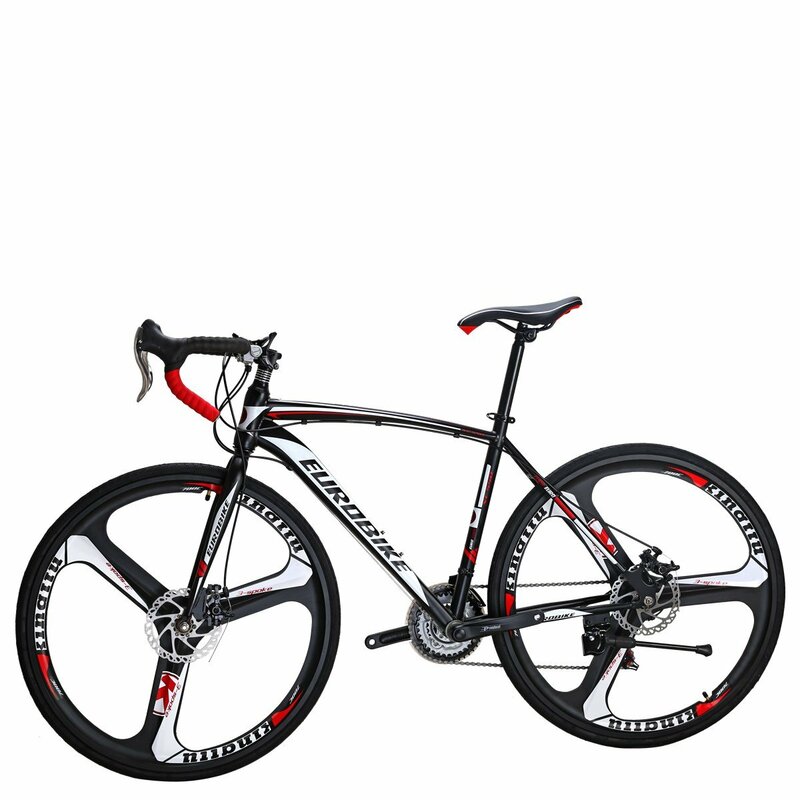 Road bike made by Schwinn namely Phocus 1600 which is elusively designed and crafted for men. 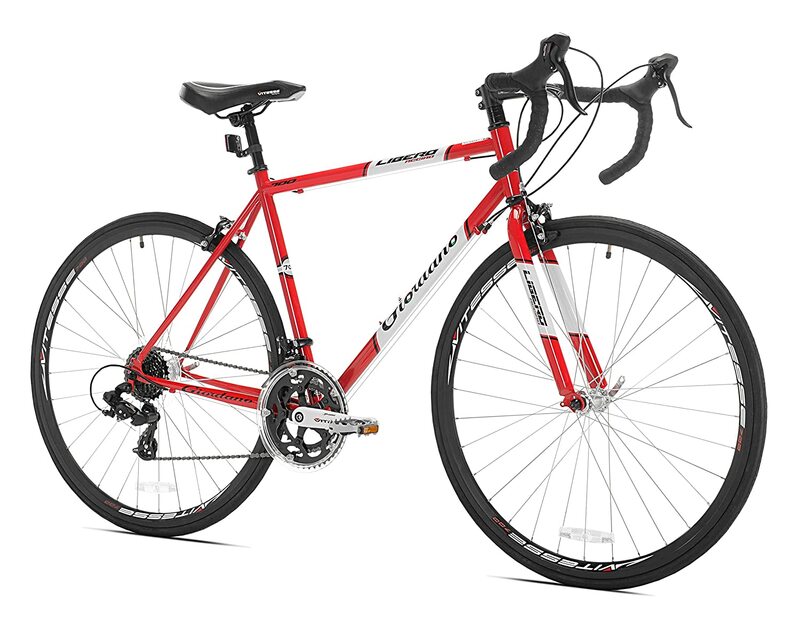 The road frame built by Schwinn is made of aluminum to give the comfort ability while on the road. Integrated shift and brake lever combinations is uniquely designed with shimano claris 16 speed derailleur for easy braking and shifting. Double wall alloy rims come with paired spoke that are super light weighted. And, the dual pivot calipers road brakes are built for the easy braking. And then the gear range is made wider thanks to the alloy crank. All in all, it is made the one comfortable road bike that is easy going on the long journeys. 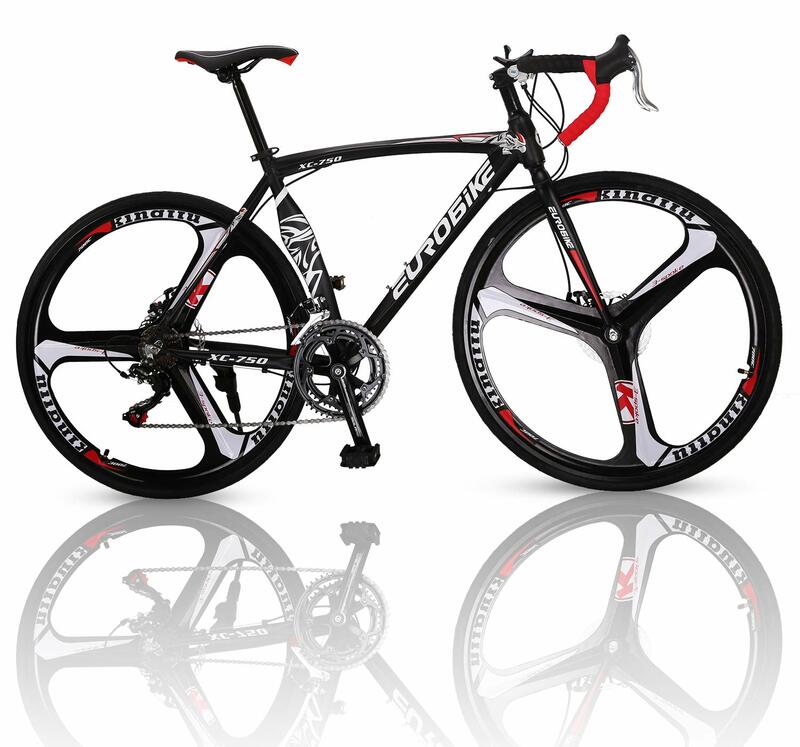 Outroad brings you the stylish black or white colored road bikes that look very similar to the racing bikes. 12 speed Shimano gear box allows you to change the gears according to the train and with just the power of your fingertips. Its 3 spoke fashioned rims of 26 inches turns the road bike more light weighted. And the aluminum alloy for the smoothness. The roller sported 700*28c tires get you the wider treads that do more gripping work on every type of terrain. And the road bike comes with the comfortable seats that will not make you tired. That 26 inches bike is suitable for many riders’ heights. Everything carbon-made road bike from BEIOU from fork, frame, handle bar, up to seat port. Material used is the carbon fiber T800-M40. It also comes with the speed control to not exceed the speed until the mark of where it becomes so uncontrollable. And that because of the gear’s rear switch for 20 speeds with the drive train from Shimano 4700 20 speeds. This wind-breaking design looks so awesome in the colors of Red, Orange, Blue, and Silver. And option to have bakes from SRAM FR-5 or from TEKTO C model road bike brakes. The handle is capable to rise as per the rider’s convenience. This all carbon made road bike is the super comfortable addition for your ultimate biking experience. One more thing, the carbon-backed seat post is able to fight with the rough terrains so that you could sit tightly and lightly. Century 3 Endurance road bike is proudly presented by the Diamnodback Bicycles. This total aluminum-based road bike is made of hitting the long roads, and to cause you so-less fatigue. I can bet you, you will feel rather fresh after you journey is ended than before starting the journey. Handling precision is widely enhanced due to 142x12mm through-axle. Brakes that work in all condition as they are coming from TRP Spyre disc brakes. Disk wheel set with C2 hed flanders just for the quick acceleration and the long durability. 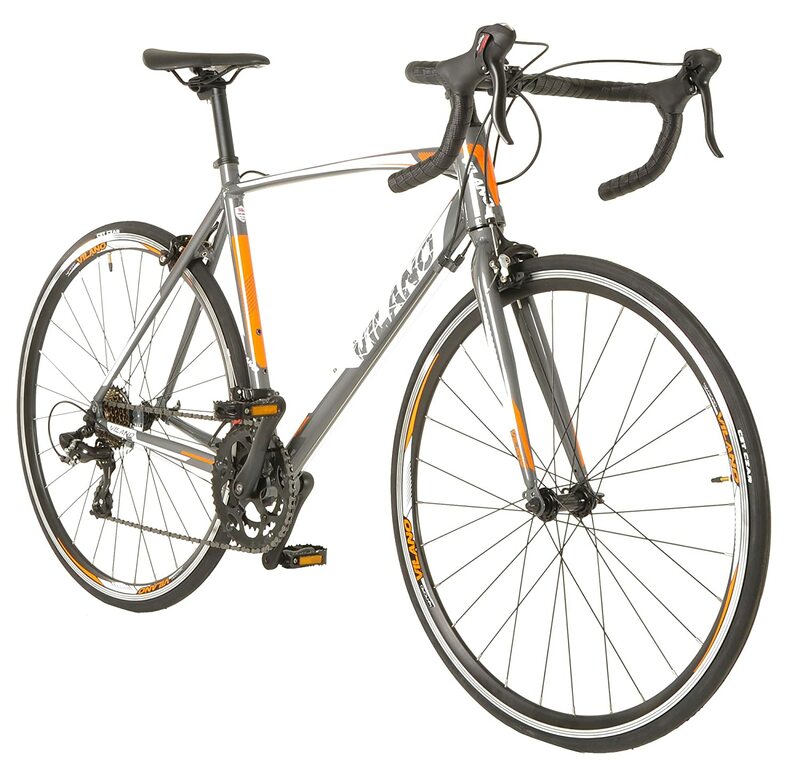 2 x 11 drive train from Shimano 105 is the performance maker for this Diamondback road bike. 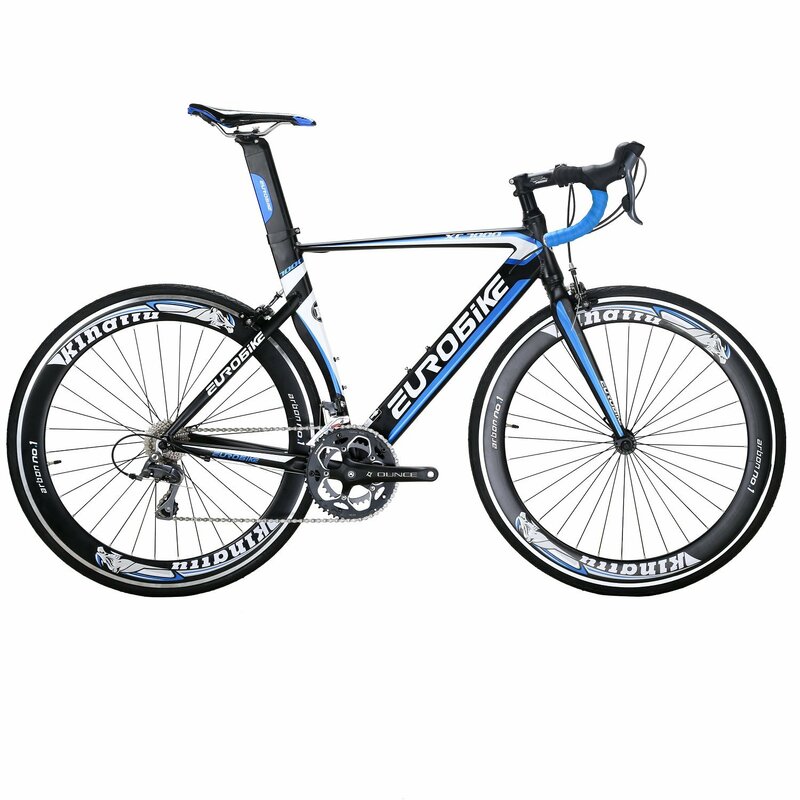 As I said, if you need the durability and comfort-ability together, you need this road bike. 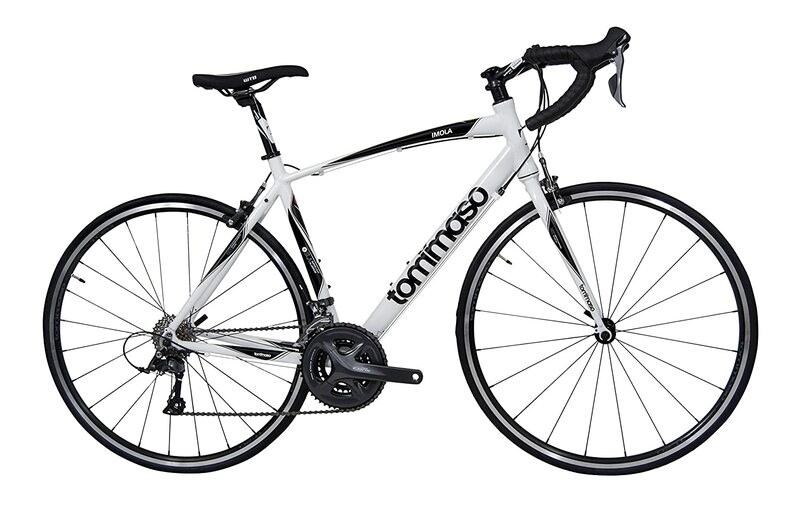 Toammaso has this performance based beginner road bike for the lovers of biking. The bike comes with Shimano Claris R2000, derailleurs, crank, and brakes all are made of the brand new 2018 claris. Tommaso road bike is built for the longevity so that you keep it for years and operational. 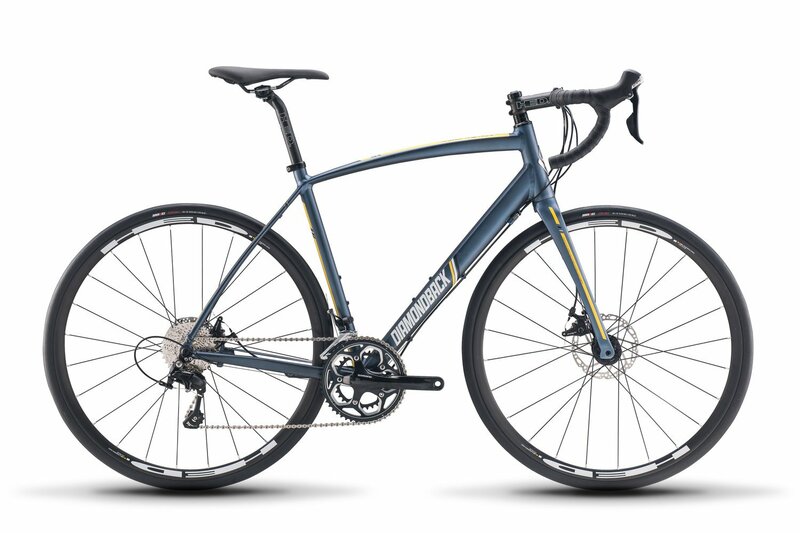 Raleigh has beautiful, slim, and the smart road bike for you which is named Merit 2 Endurance. Its frame is made with light weighted aluminum frame with the fender and built-in racks mounts. 16 gear combination from Shimano claris 8 speed shifters is the easy doer. Stopping power is as smooth thanks to TRP Spyre C dual mechanical disc brakes. Clement Strada LGG 700x28c tires bring you softness and smooth ride. Choose whatever sizes you want, but choose is as per your height level. 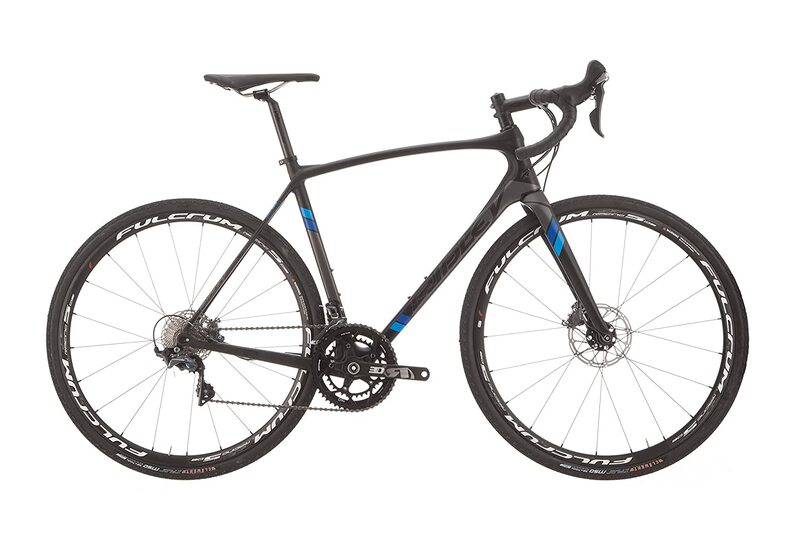 But… beware that this road bike from Raleigh is the totally smooth road bike which you would love. Which road bike that you want for yourself? As the summer is fast approaching, you need to better decide which road bike is going to store in your home in a few days? Whichever you choose, just consult this post from upside down to know you are landed on the list of the best beginner road bikes. Just get one and enjoy your summer with frequent long road bike trips. Adeel Sami is the lead contributor to our blog, NerdsHD. And he is the blogger by passion as he loves the words. The only aim of him is to write in the interesting format to arouse the interest of the readers.